Michael Sam: I’m Gay! And I’m going to Play! “I’m Gay and I’m gonna play”! I remember that line from the movie Valentines Day a few years ago. While I sat in the dark theather and watched that terrible movie, I remember laughing at this great one liner, but thought to myself “is there a gay player in the NFL”? 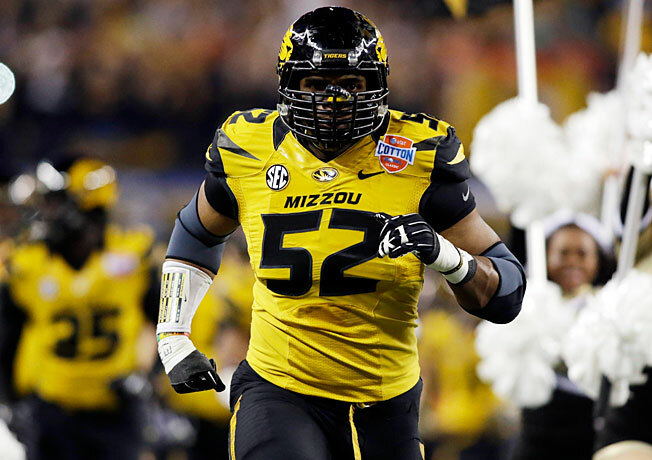 The answer could finally be a yes after NFL Draft prospect Michael Sam announced earlier this week that he was gay, and could be the first openly gay NFL player in history. While this may not be Jackie Robinson breaking the color barrier, this another wall that sports could tear down for the gay and lesbian community. While some experts and GM’s have already said that the announcement could hurt Sam’s draft stock, because they are supposedly afraid of him becoming a media distraction like Tim Tebow, the fact of the matter is that this young man should be commended for his actions. After hearing anonymous GM’s saying that Sam could now fall out of the draft because of this announcement, I was flabbergasted. If anything shouldn’t this make him a more attractive draft prospect? A man who is this honest and is not afraid of the attention? In an era where criminal records and domestic disputes are glanced over is a prospect has a great forty time, it is absurd that a general manager of any team would over look a player based on his sexual preferences. Sam has tremendous talent and potential, and unlike other prospects has a clean record and a great personality. Shouldn’t this boost his stock rather then hurt it? If teams are so afraid that he could disrupt the locker room just look at Mizzou’s season last year. Sam told his team that he was gay in August and did the team implode or have locker room issues? No, far from it. Instead the played for an SEC title game while Sam was named the SEC Defensive Player of the Year. At the end of the day there is only one thing that matters in the NFL, production. If Sam can come into the league and be a highly productive player, no one will care about him being gay. Sure, there will be a few people that will hate him, there always are people that will judge us because of our differences, but America has become a nation of tolerance. If anything, Sam represents a beacon of hope that America is truly striving towards a society of equality and fairness. Fans don’t care about sexual preference, arrest records, skin color, or religious backgrounds of their players. At the end of the day it is about what the players do on the field but more specifically win. Sam could change the landscape for the next generation of athletes, but if he really wants to make an impact it will come on the field this fall, and not in the headlines this February.